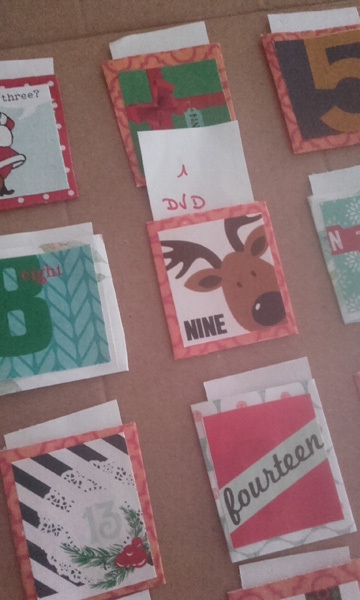 It's time to prepare for Christmas ! 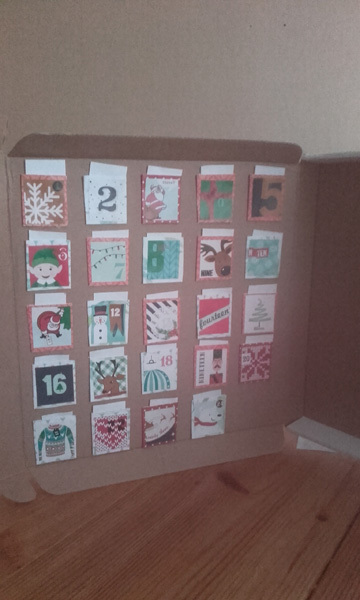 For me, the first step is the creation of an advent calendar. 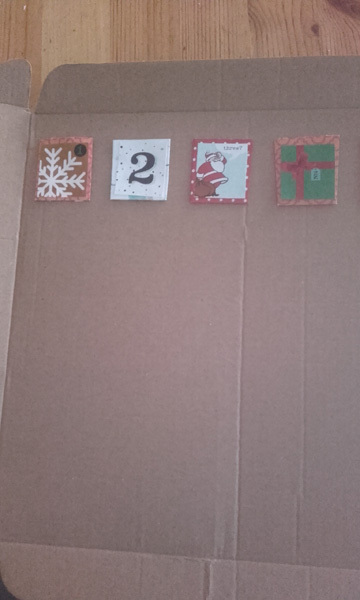 I received an order in a box and I decided to recycle it and use it for my advent calendar. I love recycling daily objects and give them a second life ! 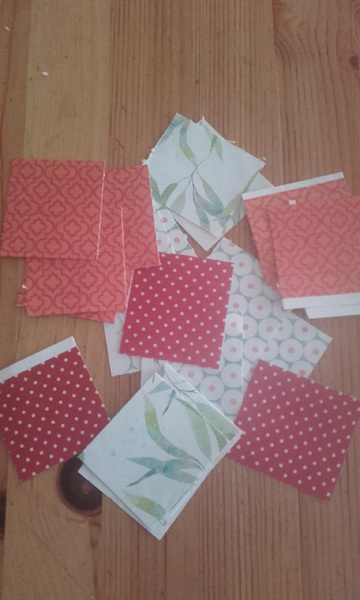 My son chose red, orange and blue colors from Pure & Simple | Papers and Tales of Spring | Papers. My daughter chose blue and pink colors from Tales of Spring | Papers. 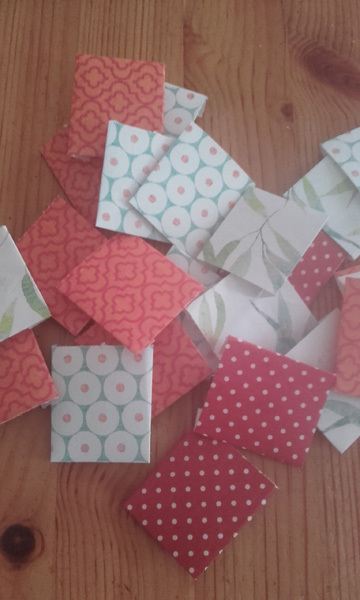 And I folded them to create small envelopes. 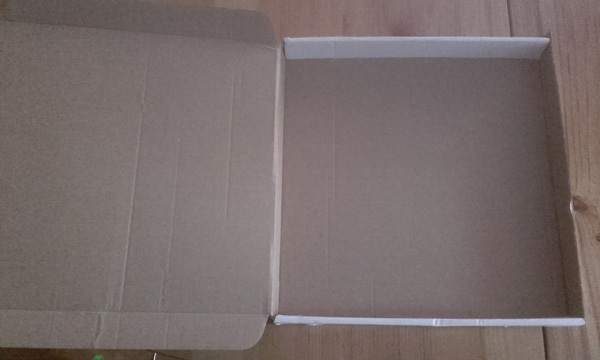 I chose this format because they remind me of letters for Santa Claus. 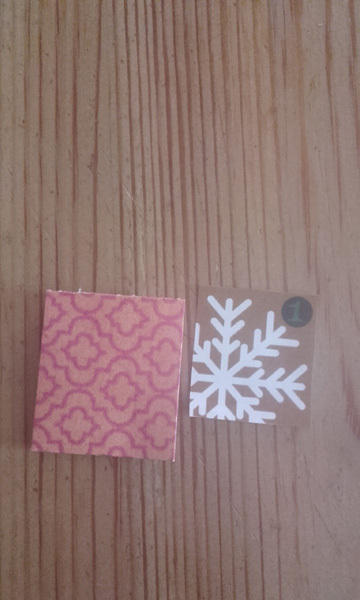 Each day my kids will open an envelope to discover their gift. It's just a matter of patience ! 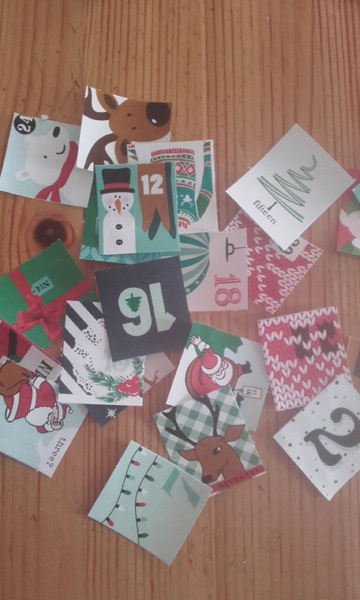 On each envelope I glued a number from Countdown To Christmas | Elements. 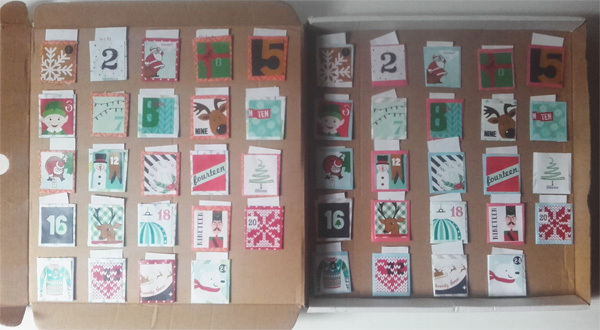 I use them each year, they are perfect for Daily December or like in this case an Advent Calendar. 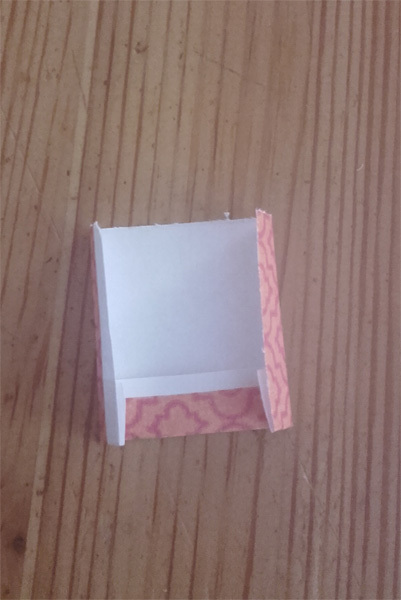 Then, I glued each envelope inside my box. 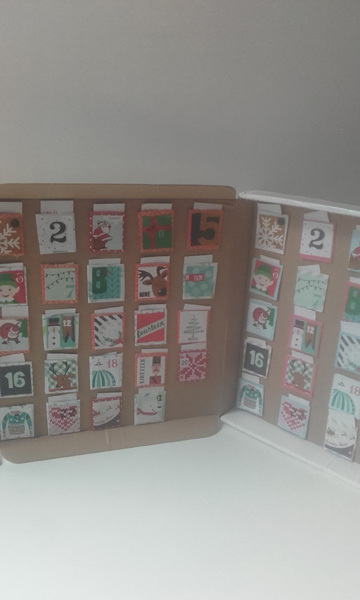 My sons advent calendar is done ! I prepare for the calendar all year round by gathering fun stuff and small toys from the flea markets. 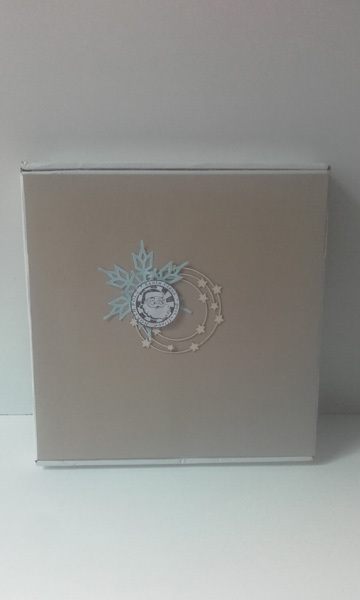 I choose a minimalist style: one wood element, one snowflake cut from blue paper from Tales of Spring | Papers, and a stamp printed from Ho Ho Holidays | Wordart. 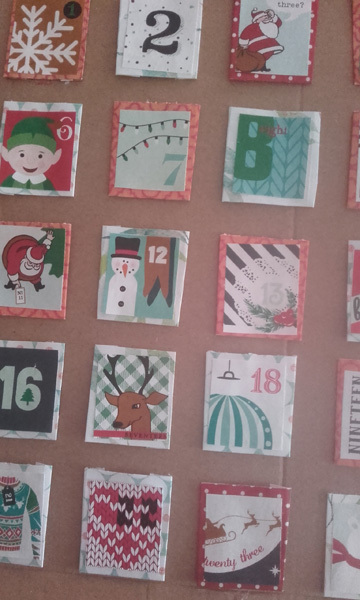 Now with bith calendars finished, I can't wait for december 1st ! As always I hope you enjoyed my post and if I inspired you in any way, shape or form then by all means make a photo of your project and upload it to your gallery so you can leave a link in the comment section below! I'd love to see what you made!